This is an amazing outfit by Joseph Ribkoff! 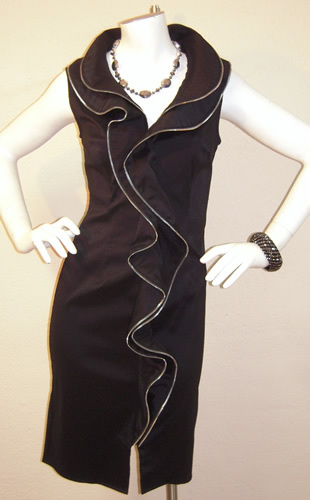 Soft and easy fabric paired with a touch of hardware to make it funky and fun! 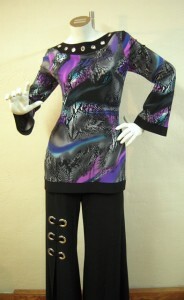 Cool purple toned print tunic pairs perfectly with these palazzo pant with mesh cutout just below the grommets. Certain to catch a second look! Made in Canada.